The final week of the regular season played out like a Hollywood script for Derek Jeter. First came the walkoff single against the Orioles in his final game in Yankee Stadium, and then came the three-day lovefest in, of all places, Boston’s Fenway Park where the Yankee legend was greeted with the kind of cheers and “DER-EK JEE-TER” chants usually reserved for Yankees home games. From the moment back in February when Jeter announced his retirement via a post on his Facebook page – “First of all, everyone said they didn’t even know I had a Facebook page” – the tributes came pouring in. The cynics started to wonder if Jeter was being credited with inventing and/or saving the game of baseball. The final weekend in Boston was positively surreal. Sure, there were Yankees fans everywhere, but there were also a lot of Red Sox fans leading those cheers. Gone were the days of the “Nomar’s better” chants…heck, Jeter and the rest of us might have even forgotten about the “Pokey’s better” days of 2004. And then came October 1. Cue the media backlash. Writers who’d spent the better part of the past two decades singing Jeter’s praises suddenly had their opening, and they ran with it. John Harper from the New York Daily News offered this. Re: Jeter's Players Tribune: more and more it seems his retirement announcement and farewell tour was orchestrated as grand business plan. Steve Politi from the Newark Star Ledger was equally miffed. The crowning touch came from New York Daily News sports columnist Mike Lupica. Lupica’s column contained a couple of not-so-veiled very crude references to female anatomy that were, among other things, completely devoid of the class that Jeter showed throughout his career. Jeter’s been seemingly EVERYWHERE lately. An appearance on the Today Show, The Tonight Show with Jimmy Fallon, and an online twitter chat of all things. And Jeter Publishing is off to a roaring start. Derek Jeter came into professional baseball with a plan – play the game the right way, and don’t give the media a reason to take something you say and run with it. He’s clearly treating the next step in his professional life with another carefully laid-out plan. That Players’ Tribune twitter page and website were registered in November 2011; the domain for his Jeter Publishing website was also set up about a year ago. He managed to fly completely under the radar with both until he decided to make it public. We all know that any content published by athletes via Jeter’s site (Russell Wilson is the first to contribute something) is going to be heavily edited. Big freaking deal. The media backlash – less than 72 hours after Jeter’s career came to a close – is ridiculous and can be summed up in four words. If you’ve listened to me on the radio for any amount of time, you know I’m not a fan of the New York Yankees. Red Sox executive Larry Luchino dubbed them the “Evil Empire” some years back; I’ve been known to say things far less complimentary. Derek Jeter‘s Hall-of-Fame career will come to an end Sunday afternoon at Fenway Park in what will otherwise be a completely meaningless baseball game for both the Yankees and the Red Sox. Both teams are out of the playoffs, and the lineups for the two previous games of this series have looked like something you’d see in the late innings of a mid-March spring training game when the starters have long since left the field and showered. Red Sox principal owner John Henry put Friday night’s lineup into perspective with an all-too-appropriate seven-word tweet. So with all that said, allow me to get the snark out of the way first. I agree with much of what Keith Olbermann said this past week about Derek Jeter. In case you somehow managed to miss what Olbermann said, go here and here. Derek Jeter isn’t going to go down in baseball history as the “Greatest Yankee of All Time.” There are at least five ahead of him you may have actually heard of – Ruth, Gehrig, DiMaggio, Mantle, Berra. I’d even go so far as to offer up Don Mattingly as a better-than-Jeter candidate. You may have some others as well to throw into the mix. Derek Jeter isn’t the “Greatest Yankee Shortstop of All Time.” That Rizzuto character was pretty good, you know. And for awhile, you could make the argument that Derek Jeter wasn’t even the best shortstop on his own team once that Alex Rodriguez fellow – remember him? – joined the Yankees. Team leader? 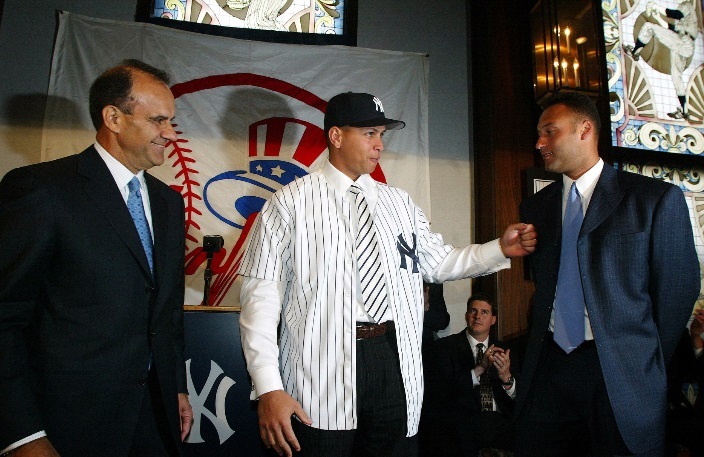 It was blatantly obvious that Jeter didn’t make Rodriguez’s transition to New York any easier. Truth be told, given my own feelings about Rodriguez I probably would have done the same thing, but as I said right from the start, this is the snarky part. Team player? One could argue that the Captain could have and should have gone to manager Joe Girardi any number of times this year and asked to be moved out of the two-hole in the lineup as it became painfully evident that he wasn’t producing well enough to be in the first third of the order. Don’t get me wrong – I’m a big fan of capitalism, and I’ve never once begrudged an athlete his mega-contract. But these last two weeks of the season have been more like a QVC Network production than a final well-deserved victory lap for a player of Jeter’s stature. Anyone want to buy a rake? The “flip” play against Oakland in the playoffs? I don’t care how many times Joe Torre makes the claim, but I refuse to believe that the Yankees actually practiced that play. One could make the argument that the Captain was actually out of position. And if Jeremy Giambi had slid…. But I digress. That playoff home run against the Orioles in 1996? It would clearly have been overturned under the current replay rules. The patented jump throw? I’m old enough to remember a guy named Bobby Wine making similar plays for the Phillies back in the mid-60’s. But again, I digress. Mr. November? As a Red Sox fan, I’ll always have Jetes’ performance in Games 4 through 7 of the 2004 American League Championship Series to look back on. Derek Jeter will play the last game of his Hall-of-Fame career Sunday afternoon at Fenway Park. It will cap off what has been a three-day love fest from Red Sox fans. And while details haven’t been announced, you just know that Red Sox Executive Vice President Dr. Charles Steinberg and his staff will be pulling out all the stops to honor Jeter. And deservedly so. Plain and simple, Derek Jeter is everything I want a baseball player to be. And yes, he played hard…and he stayed cool. He respected his teammates, his opponents, and more importantly, the Game of Baseball. In the PED era of players routinely putting up video game numbers, Jeter’s name was never on the list of the usual suspects, even as some of his own teammates treated the clubhouse like a chemistry lab. He battled his way through each and every at bat of his career. He may never have put up enough league-leading numbers to satisfy the likes of the Keith Olbermanns of the world, but he certainly had his share of big base hits, and I lost count of how many of those came at the expense of the Red Sox over the years. Derek Jeter could beat you with his bat, his glove, and his legs. And as someone who probably watched or listened to 90% of Jeter’s career, I can say with confidence that he never stopped trying to beat the opponent no matter what the score was. For years, I led the “if he played anywhere other than New York he’d be considered just another very good player” crowd when it came to assessing Captain Intangibles. But as the final weeks of Jeter’s career have unfolded, I’ve started to appreciate Jeter in a whole new way. I’ve also discovered a sense of melancholy that I wasn’t expecting. Some of that came from knowing that Jeter is going through that phase of his life as described by Jackie Robinson when he said, “Athletes die twice.” Derek Jeter’s athletic mortality is playing out in front of our eyes. In many ways, I think it’s reminding me of my own mortality. The image of Jeter heading out to shortstop once last time following Thursday night’s game and crouching down with his hands covering his face, clearly filled with emotion, is one that will stay for me forever. Jeter said more in that moment about his love for the game he played so eloquently for nearly 20 years than he could have said in a month of post-game press conferences. My 13-year old son wants to play baseball for a living. It’s all he talks about. Like any of the tens of thousands of kids who call themselves Red Sox fans, he wants to call Fenway Park “home” some day, and he absolutely despises the Yankees. But when Jeter dropped that single into right field in the final home game of his career to drive in the winning run against the Orioles, my son found himself filled with emotions he wasn’t expecting for the only Yankees shortstop he’s ever seen in his brief lifetime. “This is really the end of an era,” he said in one of those moments that may be the first time he’s felt a part of his own childhood dying. So yes, Keith Olbermann and Derek Jeter’s naysayers may indeed have a lot of valid points. And I warn you now that we’re going to deal with the whole over-the-top Jeter Love Fest again in five years when Cooperstown surely comes calling. But this Red Sox fan is also hopefully objective enough to acknowledge one of the all-time greats. Chris Young has not let an injury-riddled career get in the way of a solid year. Seattle Mariners pitcher Chris Young took an odd route to get to the big leagues, but once there, it looked like he was going to be a star with the San Diego Padres. Then injuries got in the way and he had to fight his way back to the Major Leagues. This year has been not like any other for Young, a standout starter for the Seattle Mariners. Young, now 35-years old, was a highly coveted basketball and baseball player out of Highland Park High School in Texas, the same school that Detroit Lions quarterback Matthew Stafford and L.A. Dodgers ace Clayton Kershaw attended. Young ultimately chose to play both sports at Princeton University, and was named Ivy League rookie of the year in hoops and baseball. The Pittsburgh Pirates drafted him in 2000, his junior year. Even though Young decided to forgo his senior year and was assigned to the Class A Hickory Crawdads, it did not stop him from pursuing his degree in politics.1 The title of Young’s senior thesis: “The Impact of Jackie Robinson and the Integration of Baseball on Racial Stereotypes in America: A Qualitative Content Analysis of Stories about Race in the New York Times.” Young got his degree, but he had to wait a little longer to get to the big leagues. After going through the Pirates’ and Montreal Expos’ organizations, he landed in the Texas Rangers system and made his debut on August 24, 2004. Young put up solid numbers in 2005 – 31 starts, 12-7 record, 4.26 ERA – but the Rangers traded him to San Diego before the 2006 campaign. Just like the previous year, Young took the mound as a starter 31 times, but improved to an 11-5 record and reduced his ERA to 3.46. He got the lone Padres victory in Game 3 of the N.L. Divisional Series against the eventual World Series champion St. Louis Cardinals. Young received an All-Star nomination in 2007, but finished the year at 9-8 and spent some time on the disabled list in the season’s second half due to a strained oblique muscle. From there until 2010 when the Padres let him go, Young was a frequent visitor to the DL with various arm injuries. The New York Mets took a chance on him in 2011, but an arm injury cut Young’s season to only four starts before the Mets shut him down for all of 2011. The Mets brought him back in 2012 with a minor league deal, and he split time between the minors and majors. He finished the regular season with just a 4-9 won-loss record despite a decent 4.15 ERA. Young was a free agent again in the offseason, but not for long as the Washington Nationals signed him to a minor league contract with an invitation to Spring Training. Though the Nats released him during Spring Training, they re-signed him before the season started. Again, injuries derailed his season and he was relegated to the minor leagues. (He reached Triple-A Syracuse, but got no further). Washington let Young go a second time, this time on March 25 of this year’s Spring Training. Only two days later, Young signed with Seattle for a one-year, $1.25 million. This past Sunday, Young tossed six scoreless innings against the Detroit Tigers and captured his twelfth win of the year. This year, Seattle has had a very solid starting rotation thanks to Cy Young Award candidate Felix Hernandez along with Hisashi Iwakuma. But Young’s contribution to the rotation and the club has not gone unnoticed. “He’s been a godsend,” Seattle manager Lloyd McClendon said to Sports Illustrated. Young’s 3-0, 2.12 record in August is one of the primary reasons the Mariners are in the mix of the AL wild card race. Young’s contract with Seattle is up after this year, and if he remains injury-free the rest of the way, he will have made a case for the M’s to keep him. That’s Not a July T-Storm, It’s the MLB Trade Winds Blowing! 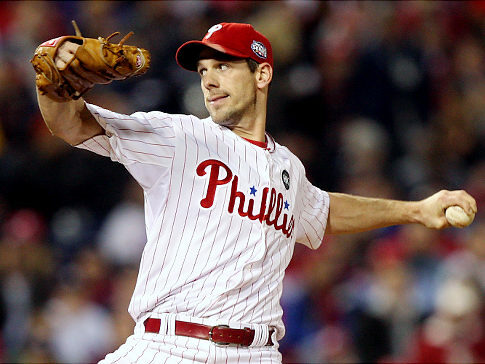 It must be July; Cliff Lee is on the trade block. Major League Baseball is a week past the All-Star break, which means the MLB trade deadline is less than two weeks away. There’s already been a major trade between the Oakland A’s (Addison Russell) and the Chicago Cubs (Jeff Samardzija, Jason Hammel) that will have an impact on the AL West race. Teams have until July 31 to decide whether to be sellers, buyers, or to stand pat at the deadline. It gives them less than two weeks to figure out if they are really as bad as they might be playing or as good as they think they are. Should a team within striking distance of a playoff spot go hard after a big-name player or pull the trigger on smaller deals? Or should they stand pat? There’s precedence for just about every situation at the break. On July 31, 1997, the Chicago White Sox sat four games in back of the Cleveland Indians in the AL Central division. Despite their close proximity to first place in the standings, the White Sox went into “full sell” mode. 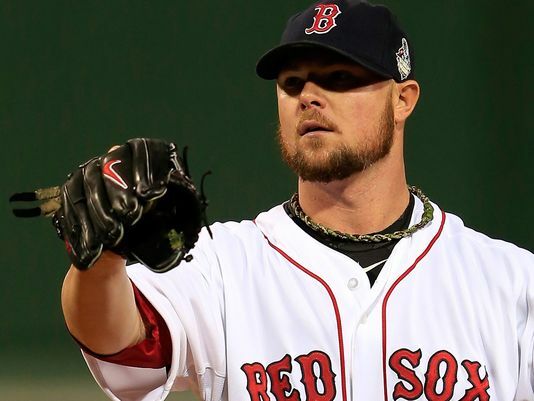 They dealt starting pitchers Wilson Alvarez and Danny Darwin, and closer Roberto Hernandez to the San Francisco Giants for a half-dozen prospects: Keith Foulke, Bobby Howry, Ken Vining, Mike Caruso, Brian Manning, and Lorenzo Barcelo. So let’s take a look at some of the names being bandied about right now and those names that might be brought up once the deadline gets closer. Jonny Gomes and Ben Zobrist: There are a lot of moves made at the deadline to shore up a position, or to get one or two more players that might put a team over the edge to make the playoffs and/or make a long run at the title. Gomes and Zobrist would fall into that category. Gomes had several big hits last year to help the Red Sox win their third World Series in the last 10 years. But, with Boston struggling this year, Gomes may be one of the guys to go. According to ESPN’s Jerry Crasnick, the KC Royals have made Gomes a “potential trade target”. KC is in contention with a group of younger players and could use some experienced, ring-bearing veterans like Gomes. Zobrist’s name has popped up in many rumors. Though the 33-year old’s bat hasn’t produced as much in the last two seasons, he’s just three years removed from back-to-back 20-home-run seasons. Zobrist, Gomes’ former teammate on the Rays, can also swipe a base when needed and defensively can play both middle infield positions, (second base is his best spot), and the outfield. With a $7.5MM team option for next season, Zobrist comes at a bargain price. That means better prospects will be demanded by the Rays in return. Fishing for pitching is always a popular sport this time of year, and the biggest fish out there is a Ray. David Price, the 2012 AL Cy Young winner, won’t be a free agent until 2016, but the Rays may deal him before then to haul in a big catch. Price made $14MM this season and will surely top that in arbitration or a one-year deal next season. The 6’6″ left-hander entered Monday’s play leading the league in strikeouts and games started, and had pitched to a 3.06 ERA and a 1.041 WHIP. Price has been especially hot of late, with six earned runs allowed in 48 innings (1.13 ERA). He’s pitched less than seven complete innings only once in his 13 starts and has thrown at least eight innings in nine of those starts. With the Rays playing better baseball of late – they’ve won five straight and 14 of 18 – Price may stick around Tampa until next season’s trade deadline. With Samarzdiga, Hammel, and Brandon McCarthy already moved, San Diego’s Ian Kennedy has heard his name mentioned frequently. 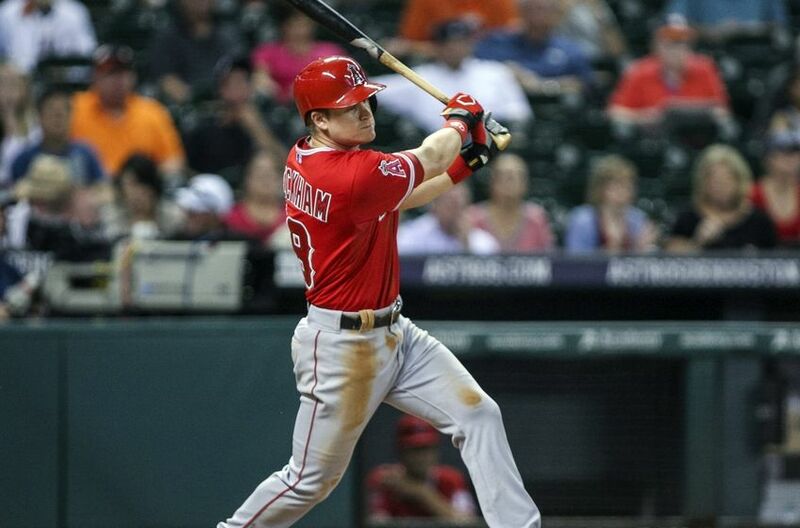 Recently, FoxSports’ Ken Rosenthal reported that the Los Angeles Angels were very interested in Kennedy, but as of this writing, the teams have not been able to match up players for a deal. Based on the way Kennedy pitched with the Yankees, you never would have thought he would be in demand. But scouts stood up and took notice when Kennedy finished 21-4, 2.88 with the Arizona Diamondbacks in 2011. He struggled the following two years and was dealt to San Diego at last year’s deadline. This season, Kennedy has turned things around and is back in demand. The USC product made $6.1MM in 2014 and is arbitration-eligible next year. The soon-to-be 36-year old Lee is owed the remainder of $25MM this season, another $25MM next year, and at the very least, $12.5MM in 2016. (The $12.5MM is a buyout; Lee can earn $27.5MM in 2016 if he throws at least 200 innings in 2015.) By comparison, Hamels is owed $90MM from 2015-2018. Just what was GM Ruben Amaro Jr. thinking with these deals and contracts like Ryan Howard’s (min. $60MM owed for the next three years)? Perhaps the Dodgers could swap Matt Kemp’s huge contract for Lee’s? Papelbon is owed $13MM next year and can get another $13MM in 2016 if he finishes 55 games next season, or 100 games over the current year and 2015 combined. After a shaky 2013 season, Papelbon has bounced back strongly this year. He’s saved 23 of 25 games and struck out 33 batters, while he has allowed nine walks, and has a 1.17 ERA. Opposing batters have only managed to put together a .429 OPS this season. With teams always looking for bullpen help and with so many closers having off years, the Phils could get some very good return for Papelbon. Well, there you have it for now. Stay tuned later in the week for another report as the calendar creeps closer to August.